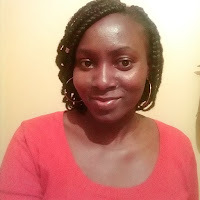 Wednesday, February 06, 2019- Midred Odira, the Nation Media employee who went missing last week and her body later found in City Mortuary, was hit by a blunt object on the head, according to a post mortem on the body. The autopsy report released to the family indicated that the 32-year old mother of one, sustained the injuries on the forehead, cheeks and the neck while seated upright. “The cause of death was the injury on the forehead, it looks like she was hit by a hammer and after she was dead then placed on the road for vehicles to run over her,” Suba North MP Millie Odhiambo said. “The autopsy also showed that the injuries on her limbs occurred after “she was ran over by a car and not knocked down,” Ms Odhiambo added. It was reported that Ms Odira may have been raped before she was murdered and samples from her private parts and nails were extracted to ascertain if she was sexually assaulted. Meanwhile, Ms Odira’s brother has revealed that he had received threats from unknown people. The family has also moved her body from City Mortuary, where it had been lying since it was found by police near Allsopps, on Thika Road, on Tuesday, January 29, to Lee Funeral Home.